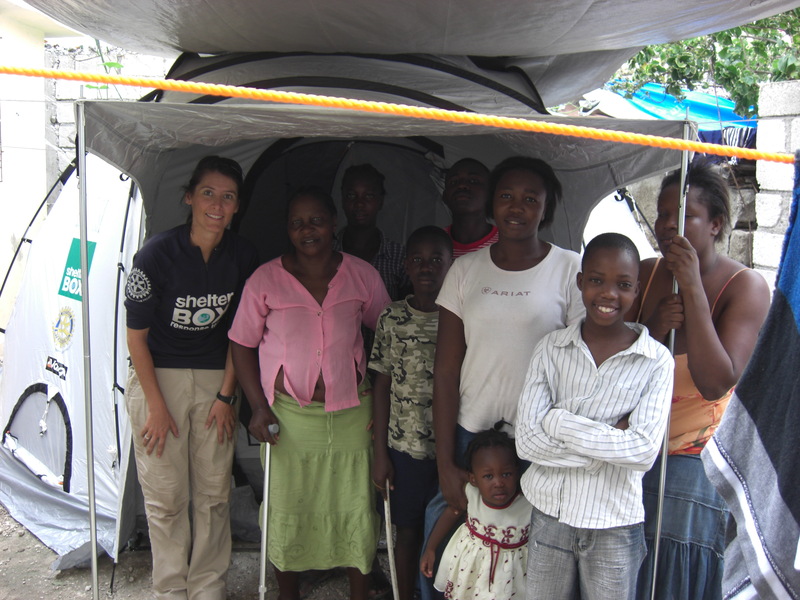 Friend and ShelterBox colleague, Nicola Jones has been nominated for the Humanitarian Hero Award at Aidex 2011 for her longterm work in Haiti with Shelterbox. au Prince to work with the teams in the field. There she conducting field assessments, distributed tents, gave tent demos and liased with various UN agencies and many small charities. By May Nicloa had taken over as Logistics Coordinator and Team lead and continued in that role for the next 12 months, managing and overseeing the teams in the field, developing and maintaining partnerships with many other charities and NGO’s delivering Shelterboxes on our behalf. Nicola also conducted a full review of field operations so that we could learn the lessons rom Shelterbox’s largest and most complex response to date. This entry was posted in Shelterbox and tagged disaster relief, earthquake, Haiti, Humanitarian Hero Award, Nicola Jones, Port au Prince, Shelterbox, SRT, volunteers. Bookmark the permalink.